Summer in Northern Cyprus is a season of hot weather, high temperatures and cloudless sky, but the sea breeze make a pleasant atmosphere in coastal areas. 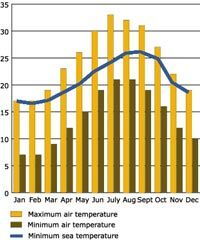 The temperature of the hottest months of July and August crawls to 34 °C and even to 40 °C. 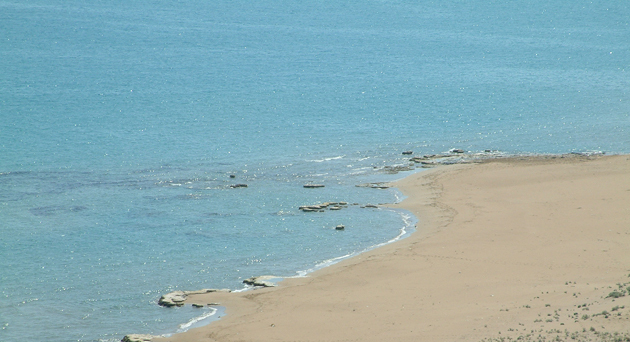 In the interior of the island the temperature during the coldest months is between 7 and 15 degrees. As the relief grows higher, the temperature gets lower.That is why the coastal areas boast higher temperatures while the Kyrenia Mountain range gets more rainfall and the temperatures are lower. Winters are mild with some rain and only occasional quick-melting falls of snow on the Kyrenia Mountain range. 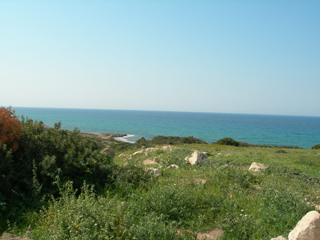 Whole Cyprus enjoys high sunshine duration in all coastal areas, even in January there are generally six hours of bright sunshine during the day. 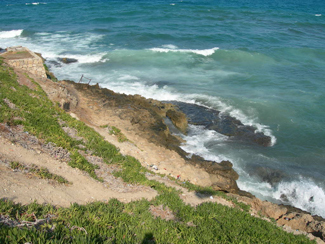 The weather in North Cyprus provides the visitors a truly pleasant holiday all year round. The graph to the right displays air and sea temperature on the island. However, the maximum temperature reaches up to 40 °C in the high summer. The average rainfall of 402 mm, however, is below Mediterranean average, conforms more to the climate pattern of the eastern Mediterranean. 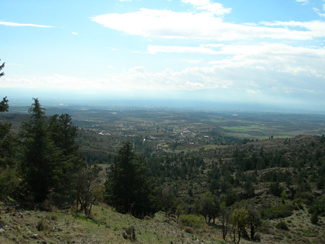 Although snowfall is not typical of Cyprus, it can remain on the Troodos massif in the southern part. The coastal plains get a low rainfall, on average from 340 to 500 mm, falling predominately in the winter. 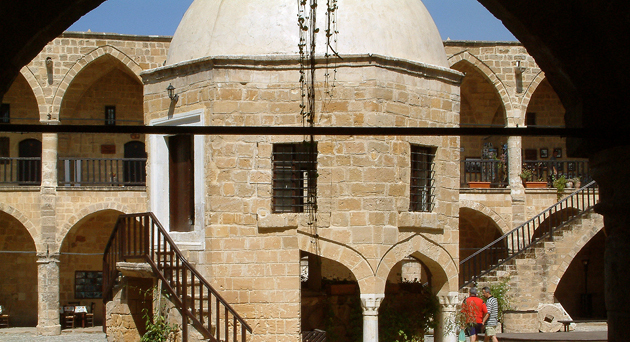 Nicosia town is characterized by low average rainfall (324 mm) as it is situated in the outback of the island. In the hilly areas the average rainfall varies between 500 and 750 mm, falling particularly in winter, rarely in the summer. 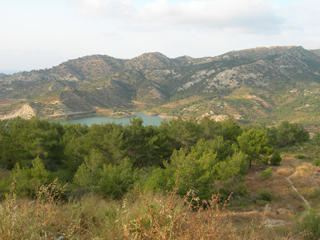 Due to the altitude, the highest number of rainfall is bound to the Kyrenia Mountain range, where it ranges between 750 and 1110 mm. 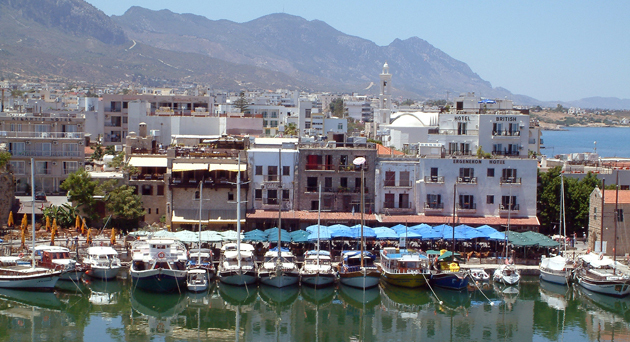 It is the Kyrenia Mountains that create a climatic barrier and make Kyrenia town a sunny destination with very little rainfall all year round. 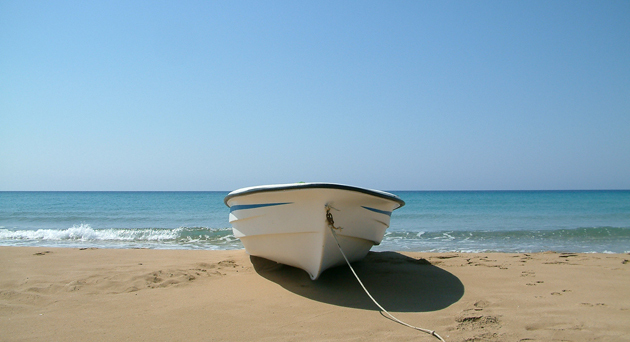 December - January: Although it is the winter time for Cypriots, the sunshine is not absent. During this period you should be prepared for all the kinds of weather that a European spring may bring. The evenings and nights are cold. Recommended are winter clothes but definitely not heavy coats. February - March: A period with occasional rain, sometimes chilly evenings however, there is plenty of warm and sunny days. 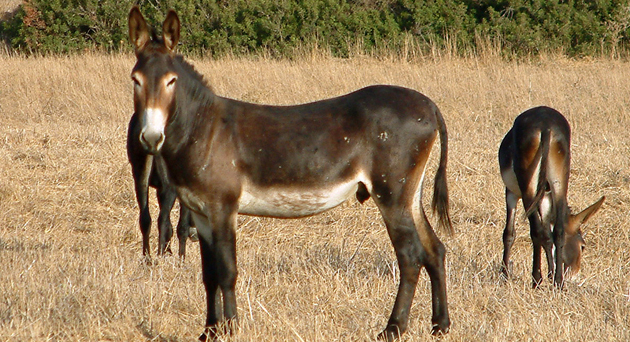 March is a spring period in Cyprus. Light winter clothes with medium-weight wear. April - May: Pleasantly warm days, though temperatures may decrease at night. Recommended is medium-weight and summer apparel with woollies for the evenings. June - July - August: Be prepared for heat, hot summer days with the cloudless sky and temperatures reaching up to 40° C. Recommended is very light summer clothing and make sure you wear sunglasses and a hat and have plenty of sun cream. Take a bottle of water with you everywhere. September - October: Hot or warm days with chilly October evenings. Light-weight clothing for the day and medium-weight, like light jacket for the evenings in October. November: Pleasantly warm and sunny days. Recommended is medium-weight clothing supplied with light woollies. Check for weather information for Nicosia: Nicosia Weather - We provide weather forecasts for Nicosia. 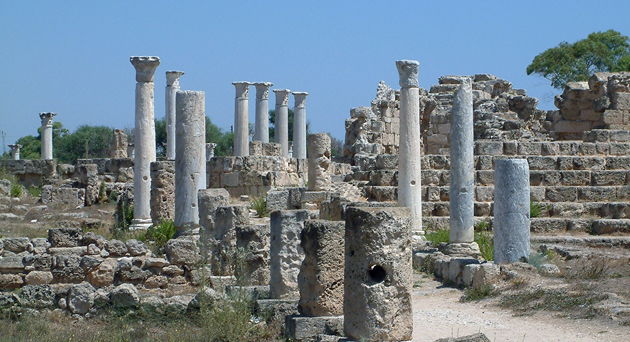 Visiting North Cyprus in the summer requires few clothes. The standard luggage allowance permitted by the airlines is 28Kg plus small hand luggage. The restaurants require no formal dress code. Light weight pale coloured clothes are advised for the summer months and a jacket or cardigan may be useful in the evenings. Other things to bring are toiletries and camera. Camera film is cheaper here. The sockets here are three point – the same as the UK, but it is still well worth taking an adaptor for bathroom appliances.